Boko Haram "The Movement" Plans To Trigger Uprising - Divide. Boko Haram "The Terrorists" Arrived in Abuja To Stay ! HUMINT from inside Boko Haram reveals that until recently the terror group didn't have the funding to expand southward and sustain a presence there. 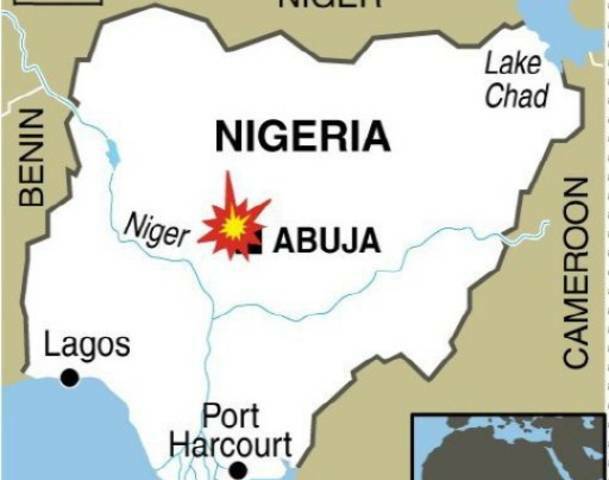 "Experts" labelled a professional doctrine terror campaign of almost 5 years "a local insurgency" and Nigerian officials keep deluding themselves in front of the media, but the recent terror attacks at the heart of Nigeria's Capital Abuja signals the arrival of "the terrorist group" Boko Haram in the south and their intention to stay. Nigeria's President Jonathan means well when he says that "Terrorists Cannot Stop Government from Working" , but has no clue of what's in store for Nigeria. While today no one can claim that the terror organisation is not a serious threat, criminal investigations brought to light that the completely ignored larger "movement" of Boko Haram in Nigeria and the Diaspora (incl. US, UK, EU) has been mobilizing support under the youth. Have prepared for a revolutionary wave of demonstrations, protests (both non-violent and violent) and riots, supported by a global social media, Internet, Twitter, Google and Facebook campaign. Exploiting the countrywide notion of underlying hatred for corrupt failing leadership and "living at the expense of the masses".
! Note ! : The "Al Qaeda Strategy Value Pyramid" bridges continents with ‘Motivation By Events’. It is not inconceivable that a wave of violent protests in Nigeria sparks to countries with a large Nigerian Diaspora ! 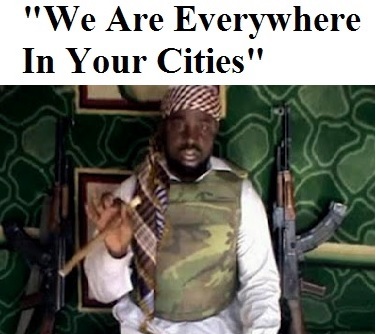 Abubakar Shekau: "We are everywhere in your cities"
In two recent video communications Boko Haram current leader Abubakar Shekau said "We are everywhere in your cities", designated international targets and specifically announced attacks on foreign interests. In a diversified threat environment where multiple Al Qaeda affiliates are taking advantage of security gaps, Nigerian criminal networks throughout the world position Boko Haram in the frontline of Al Qaeda and it is vital that we anticipate this threat.